A dishwasher combines water and detergent into very effective cocktail, heats the mixture then sprays it against the dishes. The dishwasher then pumps out the water containing food particles that have been removed from the dishes, and rinses the dishes with clean water and a rinse agent. After pumping out the rinse water, the dish are dried by either applying more heat through the heating element, allowing them to drip dry (air dry), or uses a fan to accelerate the evaporation process of air-drying option. 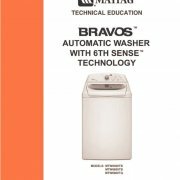 The timer and selector switch allows you to pick a variety of cycles and options, which vary the wash length, target water temperature, drying options, and some mechanical variations (depending on the dishwasher model). 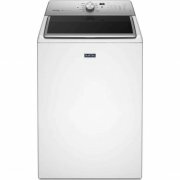 The dishwasher is a very convenient time saving appliance that is often misunderstood and immaturely replaced because of factors easily corrected. Tip: Many dishwashers will have a helpful troubleshooting guide for technicians, located behind the dishwashers toe plate, or behind the front panel. Please view the safety page before you remove lower dishwasher panel. 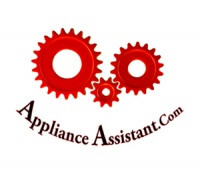 Below I will outline the dishwasher’s components and the dishwasher part functions.Timer: The timer is responsible for supplying electricity to all the other dishwasher components at the proper time and for the proper period of time. Dishwasher timers come in two flavors, mechanical and solid state. The mechanical style has a rotating cam positioned next to a group of electrical contacts (similar to a player piano or a music box) As the timer cam rotates these contact fingers close and open at the proper time to make a break contact energizing each of the dishwashers components. This style of dishwasher timer is easily identified by the clicking noise heard as the dishwasher’s timer knob is rotated. The solid-state style of timer uses an electronic control board to perform the same timing functions; this style tends to be less complicated to use, and in most cases just as reliable. Just push a few buttons and off you go. Selector Switch: The dishwasher’s selector switch further defines what components will be energized and which ones will be ignored, depending on the options you select. For example the heat dry / air dry option, the timer will send electricity to the heater regardless of this selection; however this switch is placed between the two components in the circuit. If air dry is selected the switch is opened, blocking electricity from reaching the heater. If the heat option is selected the switch is closed allowing current to flow though energizing the heating element for the dry cycle, the heating element may still be used for the purpose of heating the wash water. On newer models that use a circuit board, the selector switch will modify the control’s program to keep the heating element from being activated at the end of the dishwaher’s cycle. Fill Valve: The water inlet valve is an automatic solenoid that opens a gate when supplied current, allowing water to enter the tub. Float Switch: the float switch assembly is designed to protect your dishwasher from overflowing and is made of two parts, the float and the switch. The water level in the tub lifts a small inverted cup (the float) attached to a post that passes through the bottom of the dishwasher tank to operate a switch. When the float has raised enough the switch below opens, breaking electrical contact to the fill valve, stopping water from entering the dishwasher’s tank and preventing the dishwasher from overfilling. Tip: Something as simple as a fork lodged beneath the float will cause the dishwasher to think that it is full and not allow the fill valve to open and begin a new dishwasher cycle. Soap Dispenser: This may come as a surprise, but the soap dispenser dispenses soap. How it performs this amazing function at the proper time is the timer’s responsibility. “But how is the electricity supplied by the timer converted into movement opening the dispenser?” You may ask…well one of two ways, either a solenoid will pull amechanical arm releasing the spring loaded detergent door allowing it to open, or a device called a wax motor will perform the same function by pushing instead of pulling. Tip: Improper loading of the dishes may block the detergent door from opening not allowing soap to be released. 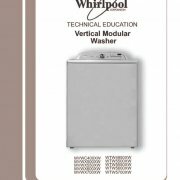 Rinse Aid Dispenser: The dishwashers rinse aid dispenser is often an integrated part of the overall dispenser assembly. The rinse aid dispenser may have its own operating solenoid opening a small release valve at the proper time, or the same actuator used for open the detergent dispenser may be used. If the same actuator is used a small cam component will reroute the actuators movement to open the rinse aid on its second pass at the end of the cycle. 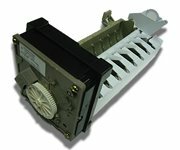 Drain Solenoid: Not all dishwashers have drain solenoids. 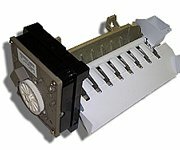 Some dishwashers use a solenoid to reroute the motor’s force from wash to drain. If this solenoid fails to operate the dishwasher will be stuck in ether the wash or drain mode. Most often the dishwasher will be unable to drain. The picture on the right is a defective solenoid; notice the melted black plastic on its metal plunger post. Thermostat: A thermostat is used to measure the amount or heat presentin the water of the dishwasher. Some dishwashers may have several thermostats, which are almost always single temperature bimetal switches. Cool water results in poor detergent enzyme activity and thus poor cleaning results, so manufacturers will use a thermostat tosense if the water is to cold and try to heat it with the heating element in the bottom ofthe dishwasher’s tank. Most newer dishwashers designs have reduced water-heating ability to conserve electricity and comply with energy star standards. Therefore it is more important than ever that the water heater be set to a temperature level that will compensate for this temperature reduction. Most manufacturers suggest at least 120º. Tip: As wasteful as it is, you must run the water at the sink until it is at it’s maximum temperature before starting the dishwasher. Save the water in a bucket and use it in the washer or to water your plants. Soil Sensor: Some dishwashers use a soil sensor, actually called a turbidity sensor to monitor the amount of soil the wash water. The turbidity sensor shines light through a small sampling of dishwater measuring sediment content and adjusts the dishwasher’s cycle time and functions accordingly. Technologies like this are another benefit to solid-state timers. Motor: The motor converts electric energy supplied by the timer into rotational motion. This rotational motion is used to spin an impeller, which pushes water up into and out of spray arms. There are many different motors styles but they can all be categorized into two main groups, single directional and reversing. Single direction motors will use a separate drain pump motor or a drain solenoid to reroute water out through the drain system. Reversing motors will change the direction of the impellers rotation causing water to be removed from the dishwasher’s tank. The motor may also spin a grinding blade that will pulverize any debris rinsed from the dishes into smaller pieces able to easily pass through the drain system. Pump: In many cases the motor acts as a pump moving water out of the dishwasher’s tank; however, a separate drain pump may be used. Most modern drain pumps are usually magnetically driven. A rotating magnetic field is created, causing a small paddle wheel inside the dishwasher pump to spin pushing water out through the drain system. Tip: Sometimes become jammed by small items like bone fragments or toothpicks. Objects can also break a blade of the paddle wheel off reducing its ability to move water. A small amount of water in the bottom of the dishwasher’s tank at the end of the cycle is normal to keep seals moist; however if more water remains than normal you may have a clogged drain slowing the drain process or a broken pump blade. Door Switch: Dishwashers use a series of door switches to control electrical flow to other components, the switches close allowing current to flow when the door is sealed. In most cases the switches are located on both the right and left side of the latch within the dishwashers door. 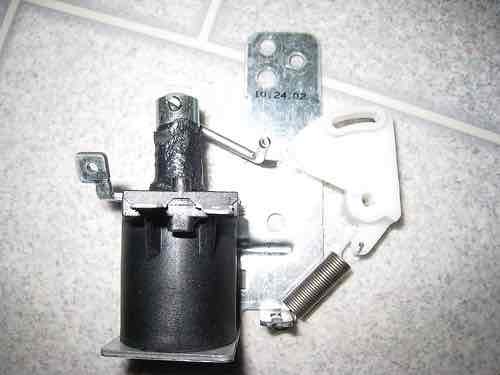 Tip: Sometimes the small actuator that inserts into the latch will become slightly bent not engaging some or all of these switches fully; the result is no dishwasher operation because the dishwasher thinks that the door is open. Slightly adjusting the door switch actuator to apply more pressure may help. Drying Fan: A few energy saving dishwasher models use a fan to circulate air through the tank of the dishwasher, decreasing the amount of time required for water to evaporate from the dishes. Heating Element: heating element is energized within the dishwasher to heat the water within the tank or accelerate the drying process. This heater becomes extremely hot and is protected by a thermostat. If the tank becomes to hot a thermostat will open breaking electrical flow to this element. Tip: The heating element tends to attract large mineral and soap deposits insolating it from radiating the heat it produces and greatly reduces its efficiency. Mineral deposits can be kept from building up with a variety of dishwasher cleaning products. Once the heating element has been coated it may need to be manually cleaned or replaced to return it to its original heat radiating glory. Drain System: Drain system is partially located internally within your dishwasher. The second half of that system is on top of or under your kitchen sink. A dishwasher’s drain hose may connect directly to the drainpipe, directly to a garbage disposal unit, or to an air gap mounted next to the faucet. Problems can occur when one of the hoses or connections within this system become clogged, a new garbage disposal unit is installed and the garbage disposal knockout is not removed, or if no air gap is used dirty water from the sink flows back into the dishwasher because the drain line is sagging. Extremely helpful and user friendly. Love the site! Is there anything users can do to help you in return? I would hate to see a valuable resource like this disappear! Thanks! Just telling people about the site and spreading the word is a huge help! Thanks again!